How does an HR Software reduce cost of your HR department? 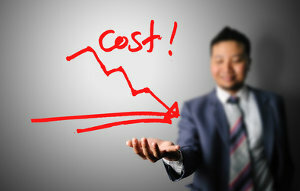 How does Empxtrack, an HR Software on Cloud, help in the cost reduction of your HR department? Home » How does Empxtrack, an HR Software on Cloud, help in the cost reduction of your HR department? » Blog » How does Empxtrack, an HR Software on Cloud, help in the cost reduction of your HR department? The HR department of a company plays a critical role in the success of a company by not only looking into payroll, leave and absences but also developing a strong workforce for the organization that helps an organization to achieve its business goals. The better the recruitment and retention processes of an organization, the stronger the company. A company with a capable workforce is more competitive, maintaining high margins, is more customer focused and commands higher valuations. Although HR department is very important, some companies don’t make the necessary investments on automaton of their department to make them efficient and productive. Many companies avoid automation of their HR departments since they believe that these are cost centers and keep the costs for this department as low as possible. This results in error prone and multiple paper-based processes and transactions. The manual and paper based transactions takes 75% of an HR professional time that can easily be saved and channelized in other strategic initiatives of HR. According to a study done by Coopers & Lybrand in 2004, “Companies in the United States (U.S.) spend $20 in labor cost for every document filed, spend $120 of labor cost to find a misfiled document, spend $220 to reproduce a lost document – and statistics show that 7.5% of all documents are lost.” Furthermore, the U.S. Department of Labor requires employers to retain payroll records for at least three years. If you manage monthly payroll manually for a small organization of 100-300 employees, you need at least 1 employee to manage and update employees HR file that contains the salary breakup of employees, their personal details such as address, dependents and benefits. In addition you may need at least one manager working part-time who would verify any changes and an employee from the finance department to calculate and finalize payroll as also file the statutory reports. This means that you need at least 2 full time employees to calculate payroll in your company. Empxtrack starter edition with payroll modules costs you approximately $1 to $3 per employee per month. So for 150 employees, you have a cost of $150-$450 per month. Given the high salaries of HR and finance employees, this could be a major cost saving for your organization. However, this is not all. Empxtrack allows you to manage the ghost employees such as temporary, part-time, seasonal and contract workers. In a manual system, these employees exist on your payroll but do not exist in employee database. You end up paying them for their work but cannot budget your expenses appropriately because they cannot be tracked manually. Empxtrack integrated payroll + HRIS modules allows you to manage these employees quite easily. Just as in payroll calculation, you will need at least one FTE to manage employee attendance and leave processes – especially if your organization is multi-locational. Not only could you save substantially in processing costs but the associated analytics will increase compliance and give you up-to-the-minute feedback. Since attendance reconciliation is a big challenge in a manual system and consumes significant man-hours, you may end up over paying and under paying employees with a manual system. A manual system leads to increased queries, errors and rework. Attendance regularization is just a few clicks activity with Empxtrack that can be managed between employees and managers. Performance management and recruitment are other major transactional activities where HR is involved and that require significant time commitment. With a manual performance management system, it is very difficult to set employees goals and and then track achievement. Unclear goals leads to low employee performance which leads to inaccurate appraisals, retention of non-performers and a lower morale amongst the high performers. While it is difficult to identify the cost of a lost employee but the replacement cost, associated on-boarding and training costs can lead to significant cost impacts. In addition, a manual appraisal means a lot of paperwork, followups, errors and delays and lack of immediate reports. With Empxtrack, you can help set organizational, company, and individual goals for employees and involve them in the process as well. The goalsheets and achievements of employees can automatically move to the appraisal leading to fairer and transparent ratings. The availability of dashboard and Bell Curve in Empxtrack Performance Management modules, allows you to find good performers and non performers. The appropriate performance rewards result in high satisfaction among employees and high retention rate of employees in a very little cost and no additional efforts. Similarly, if you perform Recruitment manually, you will have significant time spent in capturing job descriptions, maintaining long lists of candidates, you may miss out on calling good candidates and may invite rejected candidates for interviews repeatedly. It is difficult to manage the score of candidates and there is a fear of loosing records of candidates when a new position comes up. Empxtrack Recruitment module allows you to keep track of candidates who apply for jobs, which are created by a manager or an HR and are published internally and/or externally. You can easily track the scores achieved by each candidate and offer them jobs through system. Linking the offer with online on-boarding improves a candidates experience and helps collect all the relevant documents and information as soon as the new employee joins the company. In addition, you can use Empxtrack to manage Leave, Travel and Expense,Timesheet, Onboarding and Rewards and Recognition activities in your company. Each module has its own benefits and saves a huge amount of HR time that can be easily utilized by the company in more strategic activities.